The Vikings enter the final week of the season hoping to salvage pride and stay away from a dubious team record. EDEN PRAIRIE, Minn. — There will be more on the line for the Minnesota Vikings’ defense than sending out the Metrodome in style on Sunday. For the second time in three years, Minnesota is close to equaling the 1984 Vikings for ineptitude. Two years ago it was the franchise-tying worst 3-13 record. Now, Minnesota’s defense is on the verge of allowing a franchise record for points in a season. Les Stecklel’s infamous 1984 team allowed 484 points. The 2013 Vikings have allowed a league-worst 467 points this season. "I didn’t know that, but now I do and I’m kind of going to put some emphasis on that," safety Jamarca Sanford said this week. "Don’t want to give up over 17 this week. We don’t want to be one of the worst defenses from a standpoint of scoring. Like I said, that type of year for us." Sunday marks the final game in the Metrodome’s history and could mean the final game with Minnesota for several players on a defense challenging the franchise record. A complete overhaul could follow after Sunday’s game at home against the Detroit Lions, who are 11th in the NFL with 25.47 points per game. In 1984, the Vikings allowed 30.25 points per game. This season, they are giving up 31.13 points per game. "We just didn’t play good defense really this season," linebacker Chad Greenway said. "Any time you’re flirting with a record like that, it’s something you didn’t play solid defense really at any point throughout the course of the year." From giving up 34 points to Detroit in the season’s first game, Minnesota’s biggest shortcoming this season has been defensively. The Vikings are just behind the Lions in points scored offensively at 25.13 per game. But a defense that has had the focus on late-game collapses hasn’t withstood opposing offense much throughout games. Minnesota has allowed the second-most yards in this season, giving up an average of 408 yards per game. The Vikings have allowed 40 or more points three times this season and given up more than 400 yards in 10 of the 15 games. 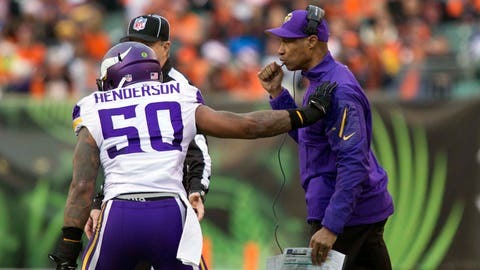 "We had some changes personnel-wise and it took the guys a little while to get in touch with what we were trying to get accomplished," Frazier said. "Now, we’re into our depth quite a bit and we have been for a few weeks, so that’s got something to do with it. I thought we were playing better there for a little while. (Sunday against Cincinnati) on third down we struggled. I thought our run defense was very, very good but just a number of different factors where we haven’t really hit our stride on a consistent basis. "I think more than anything some of the changes at the positions and trying to get some of those guys to come along as fast as we needed to early on." Along the way, Greenway has dealt with a broken wrist most of the season, but has played through the injury. Safety Harrison Smith missed eight games with a toe injury. Linebacker Desmond Bishop finally broke into the starting unit and then was lost for the season. At cornerback, Chris Cook, Xavier Rhodes, Josh Robinson all missed games with injuries. Injuries weren’t the sole reason for the defensive letdowns. "Oh, we can do some things a little bit better schematically as well," Frazier said. "The injuries, I think definitely played a role in where we are, but there are some things that we can tweak what we’re doing schematically to help us as well." Frazier and the Vikings have held on to their Cover-2 system for years. But the final cracks in the standby defensive philosophy showed. The Cover-2 system depends on the pass rush getting to the quarterback, a dependable aspect of Minnesota’s defense over the years. 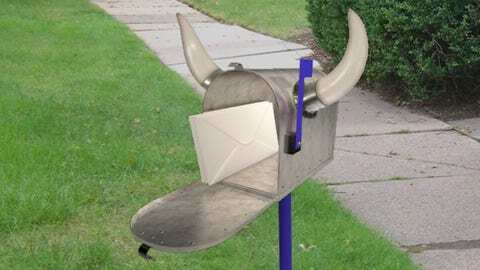 However, the Vikings rank 19th in the league with 36 sacks this season. Two years ago, Minnesota tied for the league lead with 50 sacks. Without a standout pass rush, the Vikings overmatched secondary has allowed a league-high 294.4 passing yards per game. "Yeah, if you’re playing two-deep it’s a combination of the rush and the coverage," Frazier said. "And if you don’t get the rush, it’s going to affect the coverage on that particular coverage, Cover-2. So there were times when we were in man on third down, times when we were in zone, times when we were bringing pressure, just a mix of the three for the most part throughout (last week’s game), trying to combine a rush with coverage, whether we’re bringing five sometimes or six, just trying to mix it up." Since Jared Allen was acquired in 2008, the Vikings ranked in the top five in the league in sacks four times. Allen leads the team with 9.5 sacks this season. The last time he finished with fewer than double-digits in sacks was 2006 in Kansas City. Allen, with the largest salary cap number on the team, is 20th in the league in sacks. Defensive end Brian Robison is right behind Allen with nine sacks. Everson Griffen has 4.5 sacks. "We haven’t been as consistent rushing the passer as we have been in the past," Frazier said. "That definitely affects what we’re trying to do schematically, without question. A lot of what we do revolves around being able to rush with four. And we haven’t had that consistent rush that we’ve had in years past, and it definitely affects what we’re trying to do." The Vikings enter one final week hoping to salvage pride and stay away from a dubious team record. "That’s not something you want to be a part of and that’s not something that you want to have," linebacker Erin Henderson said. "Go out there, you play on Sunday and do your best. Our goal is to keep a team under 17 points every time we step out there. If we execute our defense and play the way that we’re capable of playing, hopefully that won’t be something that we’ll have to worry about it."